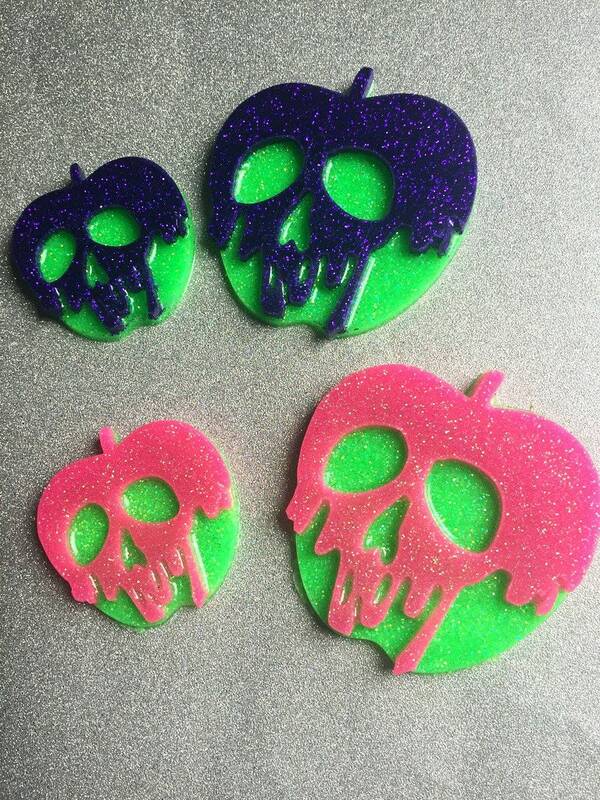 These super cool poison apples are handmade! 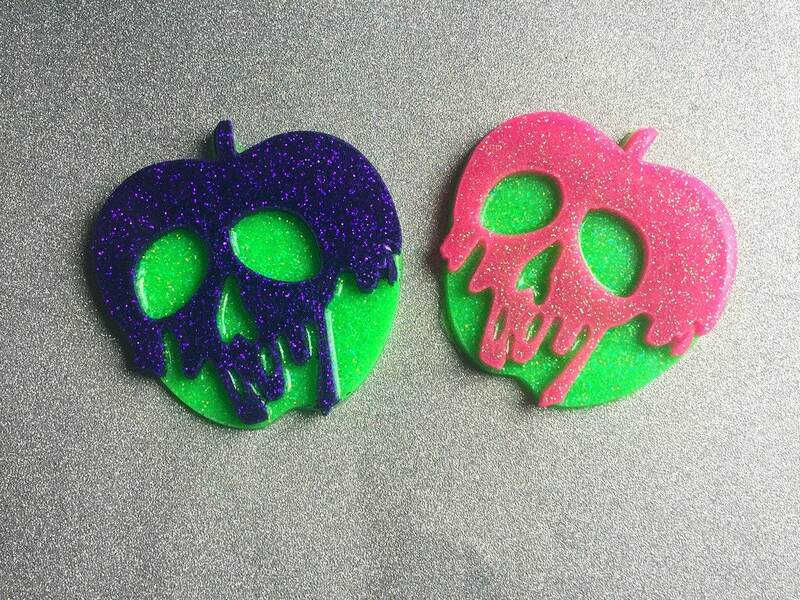 They are made from epoxy resin and stuffed with glitter! ""I also have these in brooches!!"" Choose which color (purple or pink) you would like! 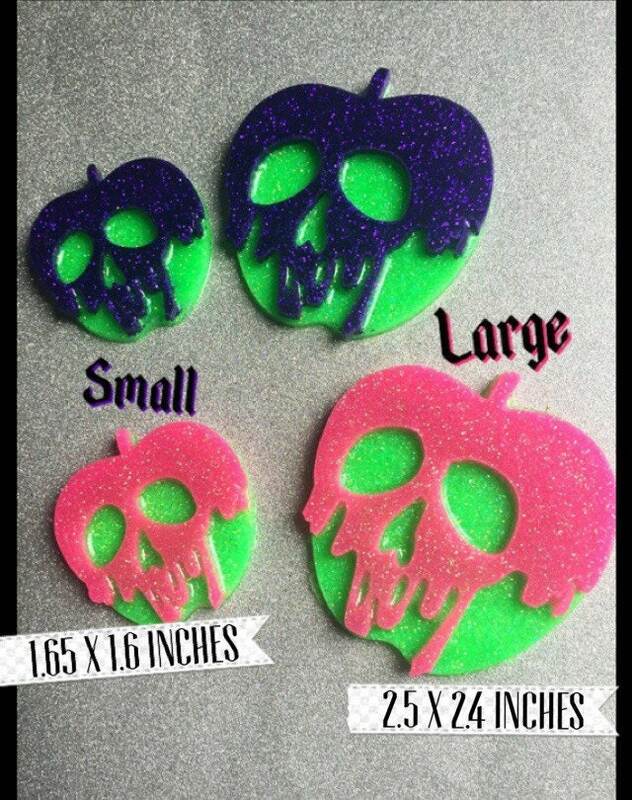 Then choose if you would like a small apple pendant or large apple pendant! 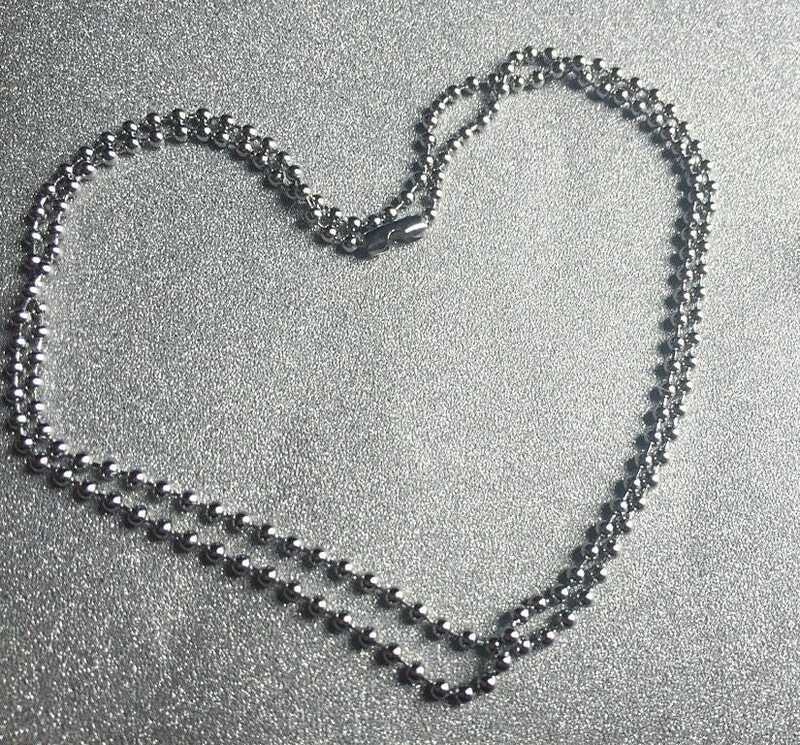 The necklace is a silver ball chain necklace but it is Stainless Steel making it HYPOALLERGENIC! !